It’s the best not-back-to-school gift an unschooler could ask for: the newly revised www.holtgws.com site! All the back issues of Growing Without Schooling are now available online for free, as well as many articles, videos, and recordings by and about John Holt. Thank you, Pat Farenga, for bringing this all together for us! 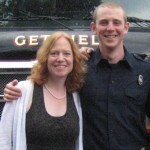 Ben just finished a full year program, 1 ½ hours a day, of a fire service technology class. 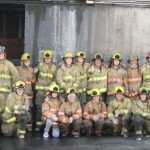 It was offered as a part-time elective program through the local school district, and classes were held at a nearby fire station, facilitated by active and retired firefighters. 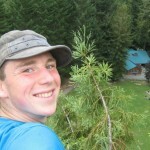 One of Ben’s friends had really enjoyed it the previous year, so he thought he’d try it out. During the course of the program, Ben learned about basic hands-on fire service skills and a tremendous amount of fire science knowledge. He got up at 6:15a.m. every day, made his own breakfasts, never missed a class, and worked hard all year long. 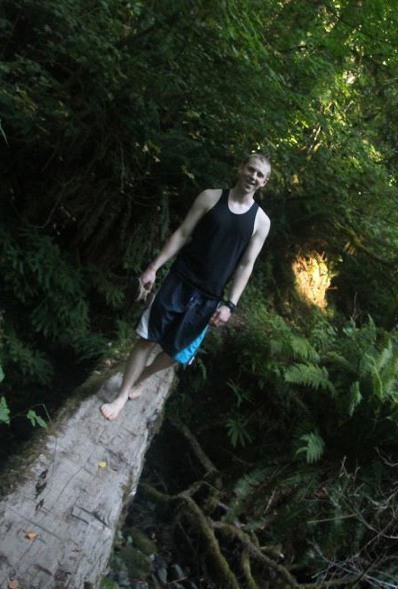 He dealt with the newness of regular assignments, a thick professional text with weekly readings, chapter tests, and working as part of a 5-person team within a class of 35 other students. 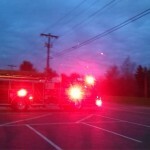 He learned to use a variety of fire hoses, ladders, search and rescue techniques, as well as first aid, CPR, team building and communication skills. On top of all this, he got to drive a fire truck a few times. How cool is that! 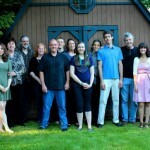 This is F Company, the team Ben worked with throughout the year. 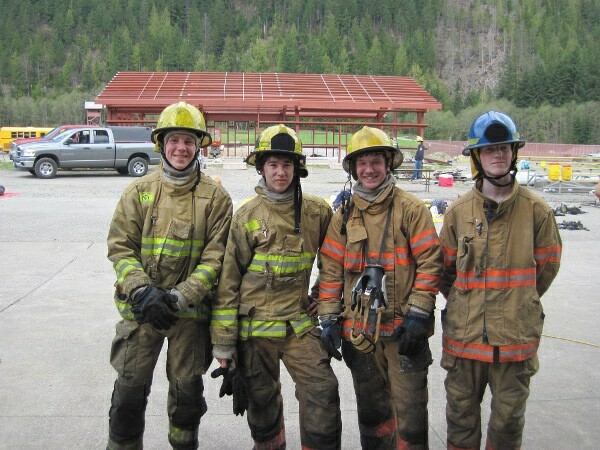 The photo is from their day-long adventure at the North Bend firefighter training center. At the beginning of the year, his peers voted to honor him with an achievement award, known in the fire service community as the Bulldog Award, to recognize positive individual behavior within the fire service program. Throughout the year, he worked alongside a variety of other students, developed a great relationship with the Chief and other mentors within the program, and enjoyed a sense of pride and accomplishment regarding all his hard work. 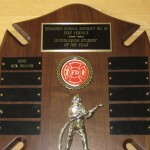 By the end of the year, he had earned a comprehensive grade of 98%, was second in the class, and runner up for their student firefighter of the year award. He also earned ten college credits that can be applied to a fire science degree if he chooses to pursue that path. It was an excellent experience, and he’s looking forward to participating again for a second year next fall. The program is available for juniors and seniors, and next year he’ll get the chance to be a company officer, leading a team in their hands-on drills and daily classwork. Ben holds a ladder in place so someone else can climb it. I wanted to share about this adventure here because (along with finally getting a few good photos to post!) it shows one way that a young adult might venture out into the big wide world. 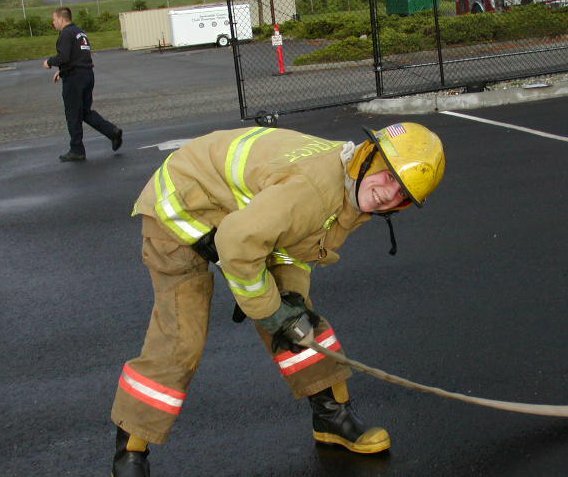 It’s a program Ben wanted to try because it sounded fun and interesting, and now he’s carefully considering whether or not he’d like to pursue a fire service career. If he does, that’s terrific. If not, then it will still be a great experience from which to learn and grow. Also, parents wonder about how their homeschooled or unschooled kids will fare as they grow and mature. In this case, by many other people’s standards and measurements (and ours too), Ben is doing just fine. More importantly, by his own standards, he is doing just fine. This was a kid who played with Legos, climbed trees, built things, listened to stories, read books, and played all day long for years and years. 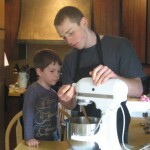 He didn’t have years of schooling, or years of formalized curriculum, before this experience. He had real life experiences. And this is a wonderful continuation of that. In early June, our family enjoyed a camping trip with a few families from our homeschool group. It’s the fifth year we’ve done some type of camping together, and it’s been fun to enjoy this annual tradition. 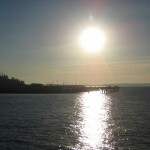 This year we stayed in cabins at Bay View State Park on Padilla Bay. 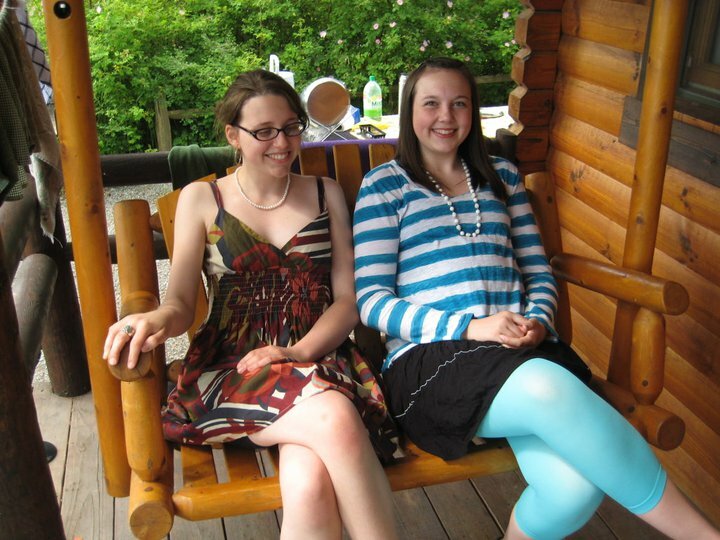 Among other various camping activities, the teens enjoyed a woodsy tea party together, including some fancy tea, desserts, and somewhat dressy attire. Each of them contributed enthusiastically in their own way. 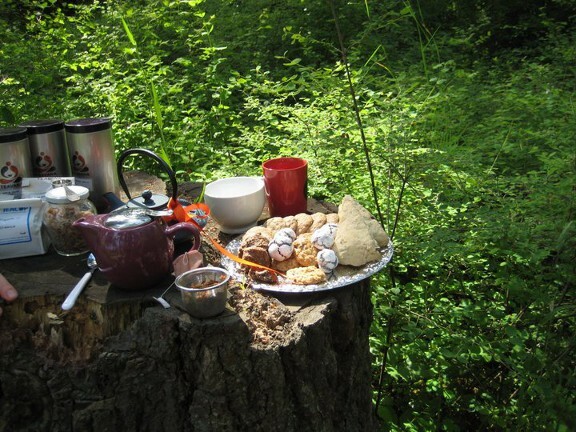 They found a lovely spot in the woods to enjoy some fancy teas, home-baked cookies, and scones. The ladies enjoyed a rest on the porch swing in their tea party finery. I’m grateful we’ve had the chance to get to know these families over the years, and I’m glad these teens can enjoy such simple pleasures together. My recent post about seasonal changes, along with Mother’s Day, reminded me of my mom, and how much I’ve missed her lately. Seven years ago, during the last month of her life, we were able to take care of her in our home when she needed us the most. 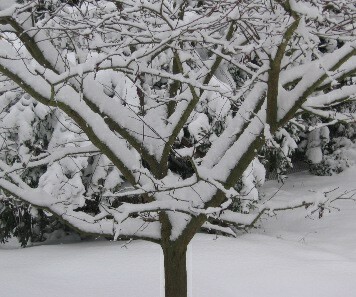 It was winter, everything else seemed to stop, and caring for her took precedence. I was so glad that Ben, age 10 at the time, was able to be there with us, spending time with her and caring for her. We took her to appointments, fixed her food, helped with her meds, and assisted her getting into and out of her wheelchair. 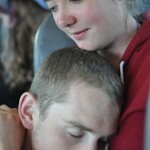 Ben was able to be with her, see her pain, offer her comfort, and learn good caregiving. 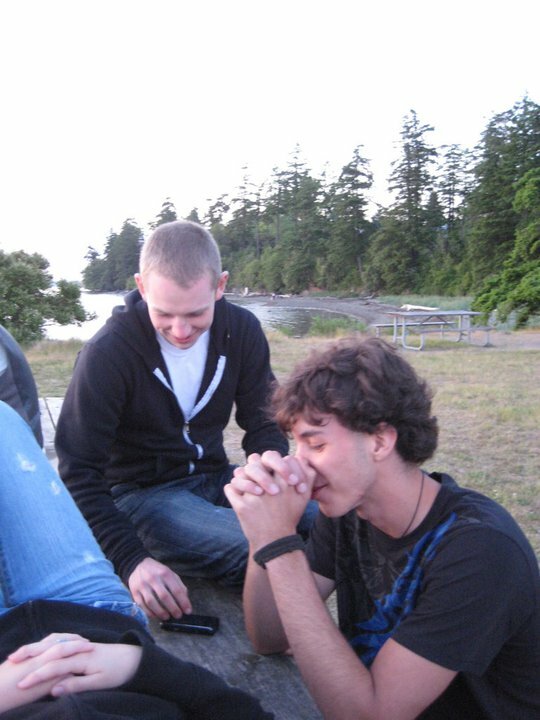 He also comforted me when I would cry because I knew my mom was dying. She was able to enjoy those last weeks with her sweet grandson talking with her, sharing his life with her, and helping her. The fact that he was home with us, and not away in school for long hours every day, gave us an extra bit of family attachment during this very difficult season. I will always be grateful for that time we had together. One gift my mom gave me at that time was related to Ben learning to read. He was just on the cusp of figuring it out, but still hesitant and not quite ready to read independently. She, herself, was dealing with some language struggles of her own, partially due to meds she was taking as well as other brain changes during her eight years with cancer. I had talked with her over the years about my philosophy of children learning to read when they’re ready, in their own good time, and she really seemed to understand. During one conversation that winter, she shared her own feelings about how language development was often tricky business, and really needed patience and acceptance for each individual’s process. She was feeling this way because of her own experiences, but made the connection related to Ben’s language growth and readiness for reading. She encouraged me to be patient and supportive of his independent time-table for learning to read. I will always be grateful to her for that nurturing support. Sure enough, a couple months later, while we were all still grieving my mother’s death, Ben made the needed language connections on his own, and started reading independently. She would have been so happy for him and this milestone. My mom offered me many other gifts during my lifetime. From her, I learned simple pleasures like watching sunsets, eating watermelon on a hot day, keeping the kitchen counters clean, and folding warm laundry into neat piles. She shared with me her love of words, alliterations, editing, and precise grammar usage. She helped me learn compassion, the need for social justice, and the importance of thinking about life from other people’s points of view. 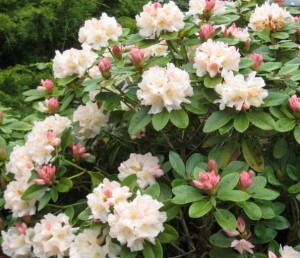 She showed me the beauty of rhododendrons, and I have finally come to appreciate the benefit of deadheading them after they bloom. She’d be pleased. I am grateful for all her good mothering, and I am grateful for having the chance to be Ben’s mother now. 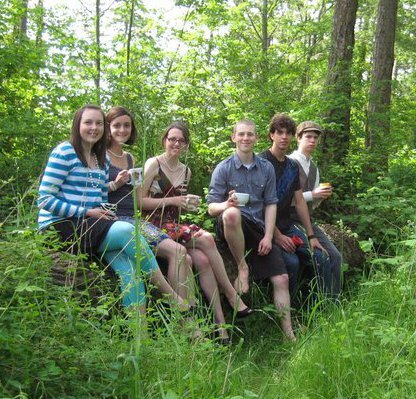 One of the best parts of unschooling is that our lives can flow with the seasons. It’s been spring gardening, high intensity bookkeeping, and math workshop season for me lately. 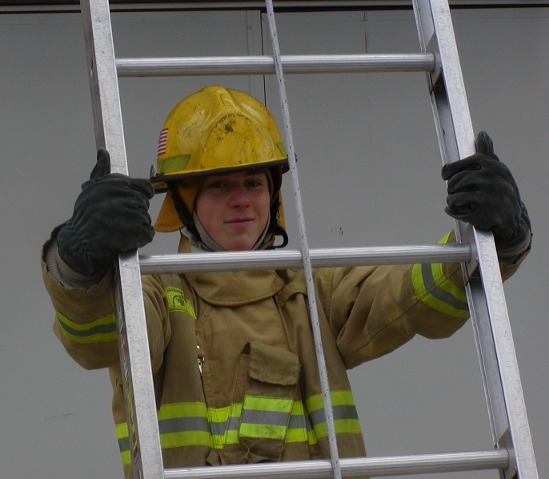 For Ben, it’s been a busy season of guitar-building, learning to cook, resume-writing for a job application, fitness routines, and continuing with a fire service training class. For Don, it’s been a season of cigar-box guitar-building, computer work, and performances in his band and as a guitar player in a few musicals. These things have kept our days filled, along with all the other ordinary parts of life. For these reasons, I haven’t written anything for a while, but I’m still here, and still thinking about things to share and things to write about that might engage you as readers. As life slows down a bit, I’ll have a little more time to express my thoughts about the different things I’ve been thinking about and what we’ve been doing lately. Thinking about all this made me consider how these types of seasonal ebbs and flows can be similar for our children. It’s good for us to recognize that they have their own seasonal patterns, too. Sometimes they’re really busy, bursting with activity, fully pursuing a project, or learning about something new. They appear consistently productive with things that are fun to talk about or look really cool. We like it when they chat with us about what they’re doing or learning or thinking about. 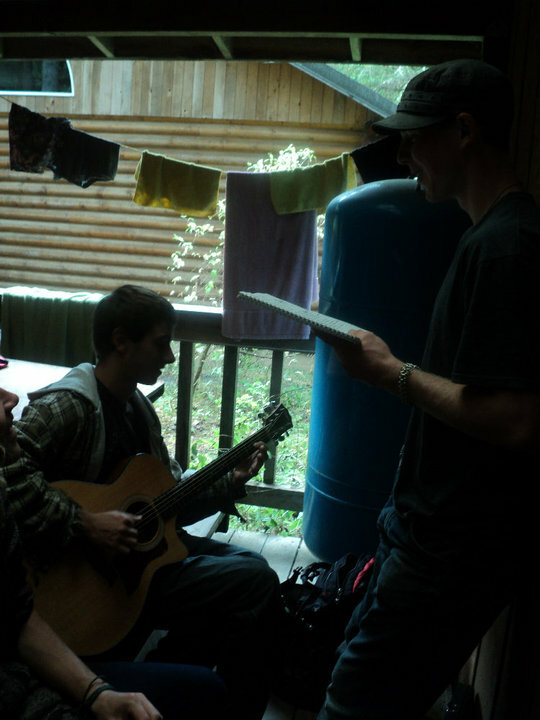 Then other times they slow down, are more contemplative, quiet, and relaxed in their pursuits. Maybe they aren’t sharing details with us as much or they don’t have as much to say throughout the days. Sometimes, as parents, we interpret this kind of behavior as a bit of laziness or not as social as we’d like. We start to worry. We wonder what they’re thinking about, what they’re doing, if they’re learning anything. We start to meddle and possibly prod them in unhelpful ways. A lot of learning can happen even when it’s not apparent at a given time, even if we can’t see it. A lot of happiness and rejuvenation can occur during the quieter, relaxed periods of our lives. 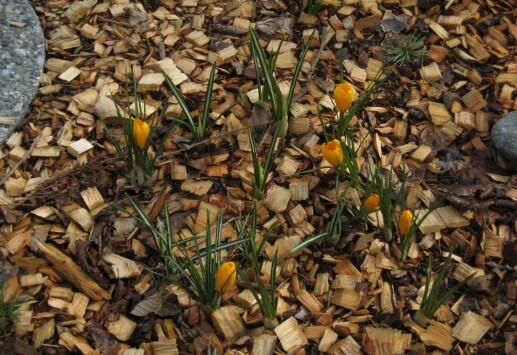 Each season has its own possibilities for different types of learning and important types of growth. I think we owe it to ourselves and our children to respect and appreciate all these seasons. As Ben grows older, I keep noticing examples of real writing experiences that are a natural part of our lives. I say “real writing” because they’re ordinary, everyday types of writing, unassigned, and not artificially contrived for someone else’s purposes. They’re simple, meaningful, and for our own purposes. 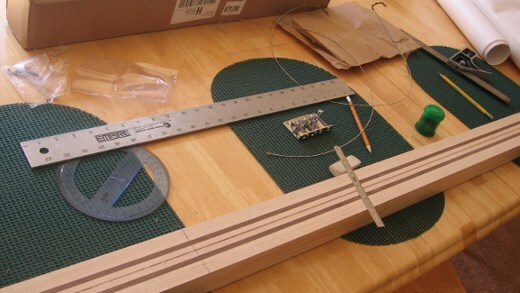 For instance, during the past month, as Ben has been building a new bass guitar, he started posting descriptions and photos of the building process on a bass-building musician’s forum called Luthier’s Corner at TalkBass.com. This is a forum he has read through quite often in the past in order to get ideas from other builders’ designs and methods. I think it’s great that now he has a chance to share some of his own work with other builders or bass players and get feedback from them as they view his progress. I love this because it’s a truly meaningful way to exchange information in written form. Another part of this process I’ve enjoyed is that sometimes he asks me to do a quick reading of what he’s written before he posts it to the forum. He asks if the descriptions are clear and make sense, or if I notice any small editing details that might need tending to before it goes public. I’m happy to do this, and it’s fun to see how his writing style has evolved over the years. He used to be a very hesitant writer who didn’t express himself much through writing, but now he seems quite comfortable and competent with it. One of the best parts of the above experience is that now, any time I’m writing something that I might need help with, I ask Ben to look it over and give his input. Whether I’m writing a blog post, a formal letter, or a quick note to someone, I can ask him to read a section and tell me what he thinks. It really helps to have another person give this kind of feedback, and I’m glad that this can be a mutual experience for us. There have been many other types of writing in our lives lately: texts, emails, job application forms, a resume, and notes to mentors requesting letters of recommendation. Each of these writing experiences has had its own form and function, its own meaningful reason for needing our attention. I’m glad we’ve been able to share these real writing experiences together. Real math looks different than workbooks and school math, and real learning happens in a variety of ways every day. I think we’re conditioned to think of school math as the only best way to learn math. It’s what we’re familiar with, and it seems simple to just do the same thing as everyone else. But worrying and workbooks won’t likely help our kids. It might hinder them. And it will hinder our growth toward unschooling. One of the ways it might hinder things is that it might cause you (and your kids) to think about mathematics in a smaller, narrower way. For instance, if you have a workbook, and you get the kids to use it, then you might think, “Oh good, now we’ve covered math.” But then you’ll miss noticing and appreciating all the other math in your lives. Practically speaking, the same could happen with Cuisenaire rods and baking, but it seems less likely. As an unschooler, if you see those things as just some of the many fun activities in your lives, then you can think of them as not more important than playing with dolls or building with Lego, or playing a game of Monopoly. They’re all valuable. Luz Shosie wrote this great post for thinking about unschooling math, and I think it’s good to reread often. Another reason workbooks might hinder learning is that they’re often quite abstract. If you’re just focusing on pencil/paper numbers, it’s harder to think about and see what those numbers really mean in real life. If kids are playing with pattern blocks, or a game of Monopoly, or counting doll items, the items are right there in front of them to help with any understanding and problem solving they may be thinking about. In the past, if my son wanted to know how to write out some numbers or equations, I’d show him, or if I thought he’d like to see a common way to write out an equation, I’d write down something that he verbalized. Mostly, I would do this type of writing myself because then he could keep doing the playing and thinking and mental mathematics without interruption. By then, the mathematical thinking had already occurred, mentally and verbally. I was just writing down the numerical ideas he was expressing. For a short period of time when Ben was younger, we did enjoy some parts of a few Miquon math workbooks. It was fun for a while, but then when he wasn’t interested, we shelved them. Looking back at that time, I believe most of the real learning occurred without them at all. It occurred from the games, activities, conversations, and real math all around us. Your kids might like workbooks, and if they are the ones asking you for them, that might be slightly different, but you might also ask yourself WHY they’re asking for them. If they see other kids using workbooks, they might be interested in them as just something fun to do. Or they might think that you think that’s the only way to learn math. Unschooling kids might choose to explore and play with workbooks, but often that’s not how it happens. Usually it comes from a worrying parent. Pam Sorooshian and Joyce Fetteroll have some great posts about math learning, and workbooks and programs. To me, mathematical thinking has to do with fun and exploration and solving everyday problems. Real math looks different than workbooks and school math, and real learning happens in a variety of ways every day. If you take time to see all the natural, everyday mathematics around you, you’ll be less likely to feel compelled to use workbooks, or to focus on abstract, schoolish math. Over the years, I have come to believe that people will acquire the math knowledge they need as they need it. 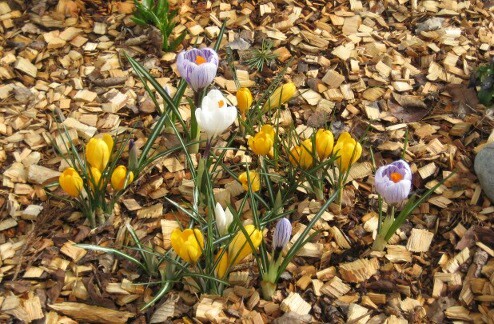 Last week, while taking a photo of these first crocus blooms, I noticed that only a few of the yellow flowers were emerging, even though I know I had planted some white and purple crocuses too. I wondered why just the yellow ones were blooming, and then realized that’s just the way it is. 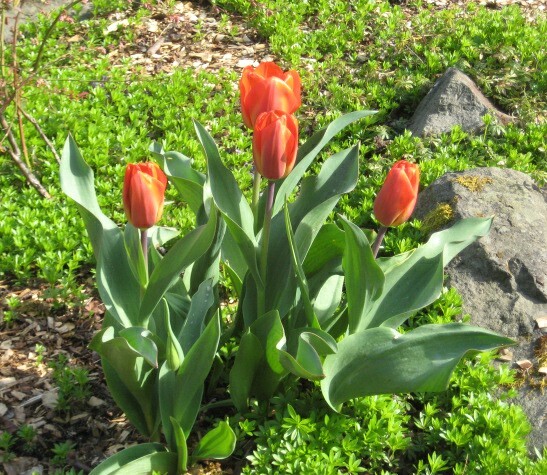 They each have their own rates of growth, their own individual bloom times. There’s nothing I can do to speed up their growth, to make the purple or white flowers bloom before they’re ready. I can trust that they will bloom in their own time. So I waited. A week later, the rest of them started blooming, and I was delighted by this expanding bouquet. It’s often like this with children. Growth rates vary considerably. Sometimes it’s hard to be patient. Whether it’s about learning to read or tying shoes or understanding number concepts, each child has his or her own bloom time. It’s okay to trust the process, and to know that they will grow in their own time. Being patient is worth it. These Plywood Play Planks look like the coolest thing since Lincoln Logs, although on a much grander scale. When I was a kid, I had a little cardboard playhouse that we loved, but of course it fell apart after a while. 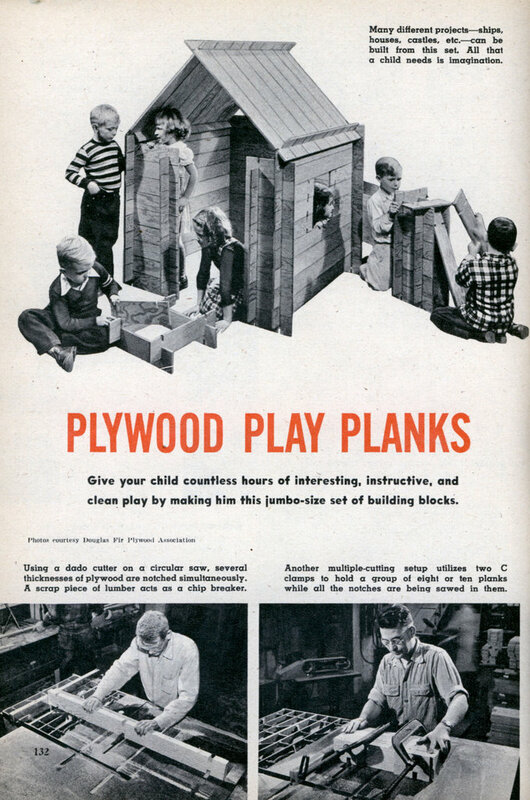 I can only imagine how fun it would have been to build kid-sized wooden houses and other various structures with these play planks. You can see descriptions of plans and materials from the December 1953 issue of Mechanix Illustrated at the above link. Maybe some handy carpenters today might like to give these a try! Tags: adventures, play, projects, toys & tools, what do you do all day?